DESCRIPTION: This is a website designed by REDdot Marketing with programming and coding by PTC Computer Solutions for Butch Berry to inform potential clients of his operations as an attorney at law in Jacksonville, Florida. You can find out more by going directly to their personal website, www.butchberry.net, or contact him directly at info@butchberry.net or 904-398-7244. 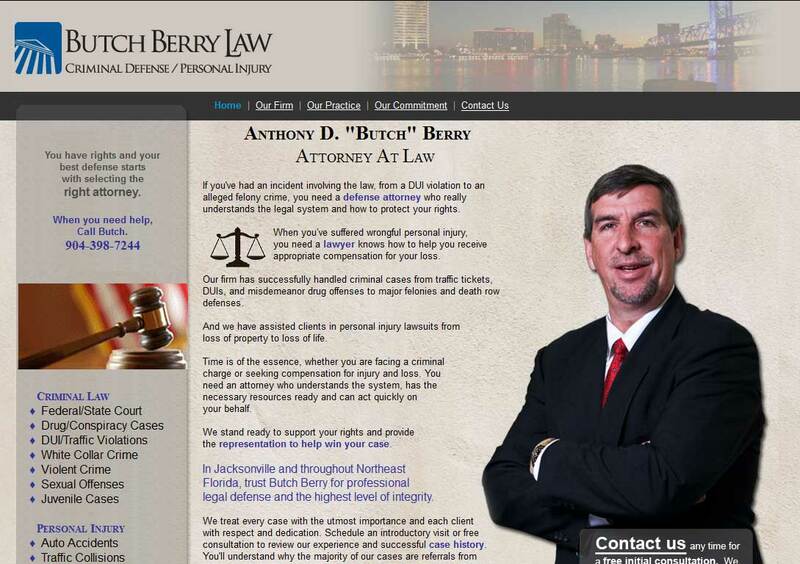 Thanks for sharing your site for Butch Berry, Attorney at Law. He is truly an outstanding source in Jacksonville, Florida if you need a lawyer.